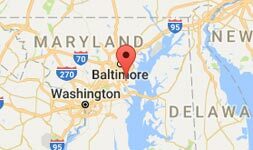 ABD Dumpster Services provides dumpster rentals to clients from all over Maryland. We pride ourselves on reliable and professional service. Below you can read some reviews from our customers. ABD was super friendly & lightning fast. They delivered a very clean, freshly painted 30-Yard dumpster to our house within a few hours after I called them. We live in a nice community, so it was important to us that the dumpster was not a ugly, rusted, or peeling paint. The delivery man (Dennis) was very courteous, made sure he placed the dumpster exactly where we wanted it, and took time to show us how to operate the swinging door. My wife & I took great pleasure in cleaning out all the junk from our attic & garages without having to worry about how much we could fit in our trucks or trash bags. I highly recommend ABD for anyone looking for a dumpster. Smooth sailing with no issues. The staff was great! 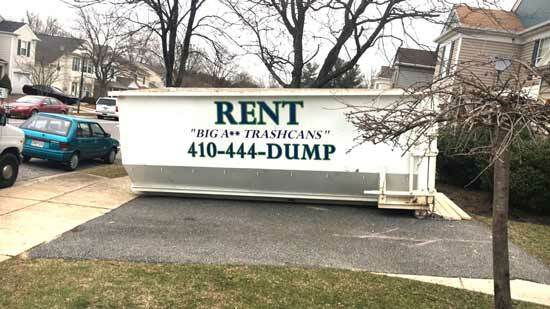 When I found out I could get a 15 yard dumpster instead of one of those huge industrial dumpsters, I was very pleased. The guys at ABD dumpsters answered all of my questions and were very responsive. I recommend them to anyone, large or small! Found ABD Dumpsters on the internet and gave them a call. Dumpster was delivered on time and put exactly where I needed it to be on my tight street. Called 4 days later to have it picked up, it was gone the next morning! I’ve used roll-of dumpster companies before and this was the best experience I’ve had. Quick delivery, and quick removal, I will for sure recommend and use ABD again! Rented a dumpster for a weekend project (tearing off a roof) was able to get multiple dumpsters throughout the weekend! ABD was a pleasure to work with, will recommend to all my friends and family! Looking for more? Check us on Angie’s List!